“People, Process, Technology.” You hear it a lot. So do we. The truth is, you can’t have success in one without having success in all three. Just as government departments and agencies can’t truly optimize services for Canadians without maximizing efficiencies among Programs, Corporate Services, and IM/IT. Technology is vitally important, but it isn’t the endgame. At BP&M, our heritage is in technology enablement, but our focus is on the whole equation: how to solve your business challenges, empower your people, get all players on board with the solution, and ensure that your technology investments support your goals and mandate. How do we do this? We offer deep expertise not only in IM/IT, but in rapidly improving business processes, eliminating waste, and fostering partnership and empowerment among your people. We achieve these people and process results through our government-focused Lean methodology and our patented ABEO™ approach, while supporting IM/IT with our business and technical expertise. Want to join our team? 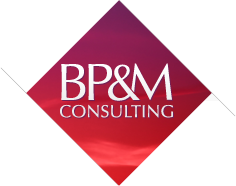 Keep up to date on our current consulting opportunities and submit your résumé to BP&M. Engagement, accountability, and new opportunities for employees. A client-focused value stream that works properly from the outset. Measurably improved services and products. Less waste. What’s not to love about being Lean? View our upcoming Lean Certification Program Course Schedule and Register for a Course! ABEO™: Change is in the air. Imagine a government organization where Programs, IM/IT, and Corporate Services wear the same team shirt every day. It’s not fantasy—it’s ABEO™: Activities for Business Enabling Outcomes framework. A trusted partner to IM/IT. When it comes to technology, our first priority is helping you leverage your people—they understand your business and how technology can enable it. We believe that this is what being a trusted partner to the public sector is all about.